At a very young age, Alaskan Allie Ostrander ran to the second-fastest time ever as she finished second at the historic 2015 Mount Marathon Race. In the following interview, Allie talks about her longstanding relationship with Mount Marathon, whether she was pleased with her performance, and where she’s headed next with her running. Check out our results article for the full story on the race. iRunFar: Mauri Pagliacci of iRunFar here with Allie Ostrander after her second place at the Mount Marathon Race. Congratulations, Allie! iRunFar: How did it turn out for you? This is a big race. Ostrander: Yeah, I thought it was a good run for my first year in the adult race. I felt good going up and finishing and breaking Nancy Pease’s record—that was good. Emelie [Forsberg] from Sweden, she was just some really tough competition. I’m happy. iRunFar: You’re happy about it. Can you tell us a little about your background with this race? You won this race six times as a junior, but what does it mean to you, more than the winning? Ostrander: I don’t know. Mount Marathon is just a very Alaskan race, and it’s so storied and difficult that I just think it’s a great mental challenge and physical challenge every year for people here on the Fourth [July 4]. My whole family does it, so it’s a tradition and it’s a great race on the Fourth of July. iRunFar: Who from your family ran today? Ostrander: My mom and dad—well, my mom already ran, and my dad is running later. My sister has run most years. Last year she got sixth. This year she’s in Oregon at an internship. iRunFar: With your running background, you’ve been running only Mount Marathon or do you run track? You won the 2014 Nike Cross-Country [Nationals]? What else? What have you been doing with running? Ostrander: Yeah, I ran cross country and track during high school, and I plan to do that in college also. I’ll be attending Boise State. But since the track season ended, I haven’t really been running that much because I was dealing with a hip injury like tendonitis and a sprain and bursitis, a very messed up hip. So, I was really glad today to be racing and it felt good. I’m hoping to get some more running in in the next few weeks to start building back up. 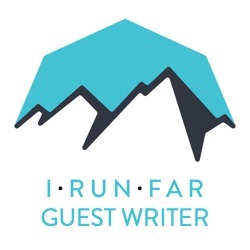 iRunFar: On mountain running, is this the only race you do or are you planning to do something else? Ostrander: This is the only mountain running race I do. iRunFar: You’re going to Boise State. What’s your distance in the track and field or cross country? Ostrander: Cross country, we run 6k, and in track I’m guessing I’ll be doing the 5k. iRunFar: How do you feel with all this history this race has and today having racers like Emelie who has run all around the world and Kilian [Jornet] is doing this race? How does that feel for you? Ostrander: I think it’s great for Alaska and the town of Seward to be able to attract world-class athletes to the race. iRunFar: Congratulations on your great run today and enjoy the day. Ostrander: Thanks. Thanks. You, too.